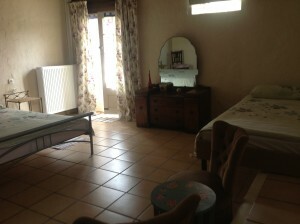 L’Huiliere is a historic farmhouse dating before 1834, the buildings and property have changed over the years. 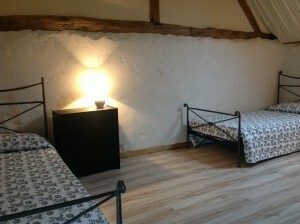 In early 2000 the Stable was converted into a 2 bedroom gite, this is now the centre of the cooking school with the Stable now hosting the large fully equipped open plan kitchen on the ground floor with double height ceiling and traditional oak beams, keeping to the character of the building and period, a large dining/lounge area for relaxing and 1 of the 4 double/twin ensuite bedrooms. 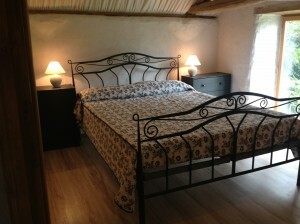 The further 3 bedrooms are located in the newly converted barn, 2 bedrooms have double beds with the 3rd with twin beds. 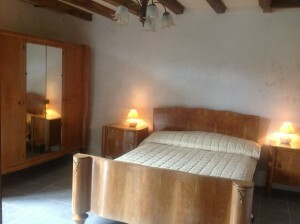 All 3 have new ensuite shower rooms, again keeping to the character of style of the building. There is a small kitchen area so you can help yourself to tea and coffee. Table d’hotes is available on request, please ensure you book in advance. If you have any allergies, please let us know with your request.